Welcome to enjoytable collection blog. 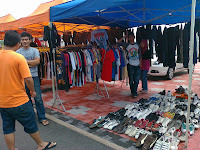 I sell,buy or trade new,used,bundle, vintage jeans,shoes,spec,antique item, coins,bank notes & many more.For more info,please contact me at my H/P 0173994441 or add me in BBM PIN 2351EC06 or COD at Malacca,Malaysia. ASSALAMUALAIKUM & SALAM SEJAHTERA. WELCOME TO ENJOYTABLE COLLECTION BLOG. PLEASE CLICK AT LABELS & AVAILABLE AREA FOR OLDERS ADS..IF NOT YET SOLD & U HAVE AN INTEREST TO ASK,CONTACT ME AT 017-3994441. FULLCOUNT JEANS JAPAN CO.LTD. SPECIAL FABRIC 15 oz. REGULAR ZIMBABWE COTTON AND WILD ZIMBABWE COTTON. haruboys X 108boys 160KM !